The 255-100 Analog Output Evaporation Gauge is used to determine the evaporation rate by measuring the changing water level in an evaporation pan. 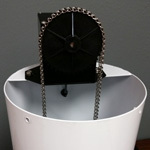 The sensor consists of a float, pulley, and counterweight attached to a precision 1000-ohm potentiometer. The 255-100 Analog Output Evaporation Gauge is used to determine the evaporation rate by measuring the changing water level in an evaporation pan. 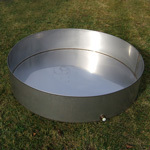 A standard National Weather Service Class A Evaporation Pan is recommended. 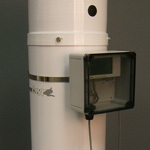 The sensor consists of a float, pulley, and counterweight attached to a precision 1000-ohm potentiometer mounted in a weatherproof housing. 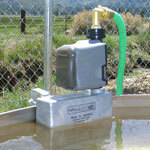 The triangular base plate is equipped with three leveling screws. 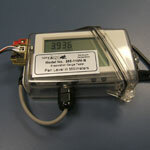 The potentiometer produces a resistance output proportional to the position of the float which can be monitored on site using a data logger or remotely by telemetry equipment. 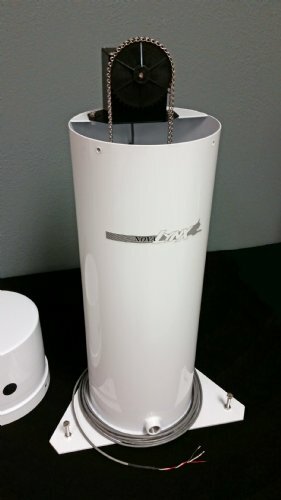 The instrument can be placed directly in the pan, or connected to the pan using the 255-100P/F stainless steel pipe and fittings. Shipping box: 29" x 17" x 16"